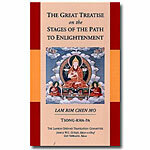 The Great Treatise on the Stages of the Path to Enlightenment is one of the brightest jewels in the world's treasury of sacred literature. 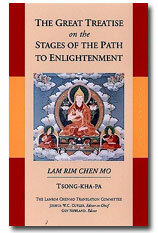 Volume I covers all practices that are prerequisite for developing the spirit of enlightenment (bodhichitta). 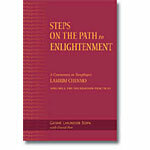 Paperback, 2014 edition, 434 pages.